Your 11-day luxury Mozambique holiday begins at the stunning Benguerra Island situated in the azure waters of the Indian Ocean. Engage in a host of water-based activities, see local cultural shows, or just relax. Then move on to Gorongosa National Park for game drives and bush walks. Unwind at Benguerra lodge engaging with as many or as few activities as you choose. Fly in to Vilanculos (flight not included in tour cost), clear immigration, and take a short helicopter flight to Benguerra Island. Arrive at the stunning Benguerra Island situated in azure waters of the Indian Ocean and begin your 11-day holiday. There is much to discover on and around this island, which is famous for pristine white beaches, beautiful dive sites, excellent horseback riding, and easy fishing. On foot or in an open 4x4, the choice of how you explore Benguerra Island is entirely yours. For the next three days, stay at Benguerra Lodge in a casita (house) that blends the aesthetic of safari chic and Arabic romanticism. The luxurious casitas feature an expansive deck with a plunge pool and outdoor gazebo for intimate starlit dinners. The lodge also features a lounge, dining room, bar, main swimming pool and spa. There are a host of activities to enjoy at the lodge. Go scuba diving, horseback riding, sea kayaking, or on an island drive. Visit local villages, see tribal cultural shows, watch the sunset on a dhow cruise, or take a guided nightlife walk and have drinks at the local tavern. Here you can do as much or as little as you choose. Benguerra Lodge takes great pride in its personal service—whether you are snorkelling on the archipelago’s magnificent reefs or casting a fly from a boat—an experienced guide will accompany you. Go on bush walks, game drives, local village visits, and enjoy other activities at Gorongosa. Travel to Gorongosa National Park, located at the southern end of the Great African Rift Valley, via a private chartered flight. Gorongosa’s dramatic scenery comprises savannah dotted with acacia trees, forests sprouting out of the sand, salt pans (in season), and even rainforests. This unique combination of ecosystems is suited to accommodate a diverse range of wildlife. Settle in to the tented Explorers Camp situated in an exclusive operating section of the park. Each suite has an alfresco bathroom comprising an eco-innovative waterless loo and a fantastic wash-in-the-wild shower designed to give you a feeling of the outdoors and privacy at the same time. Your suite also features enormous double beds with snug duvets, cotton linens, and plush towels for your comfort. The camp offers an open-air library and lounge, a campfire, and hammocks to lie in, as well as a spacious canvas mess tent to relax in when the weather isn’t cooperating. Al fresco dining is their specialty and meals can be set up almost anywhere requested. While exploring with your experienced guides see mammals such as vervet monkeys, baboons, samango (blue) monkeys, lions, elephants, hippos, and bush babies. If you’re lucky, you might also spot blue wildebeests, blue duikers, zebras, or leopards. There are also more than 400 bird species that can be seen here including the grey heron, great white egret, African fish eagle, hooded vulture, long-crested eagle, African wood owl, and amethyst sunbird. While the violet civil war in Mozambique (1977-1992) caused a dramatic drop in wildlife in the park, animal populations are back on the rise. 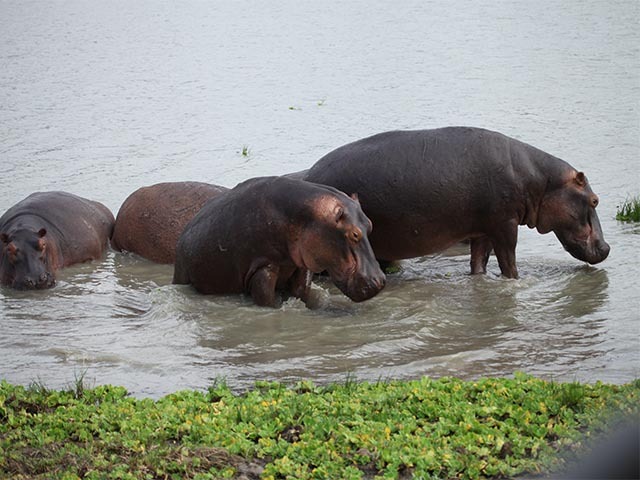 The Gorongosa Restoration Project has been working extensively to restore the park to its former glory. Take sundowners on sandy riverbanks and enjoy brunch amongst old ruins. Explore the quaint local village and learn about the conservation-based restoration project within the park. Only available during and just after the wet season, boating, canoeing, and mekoro-boat safaris provide a hippo’s-eye view of stunning waterlogged areas, all covered in a carpet of beautiful purple and pink water lilies. 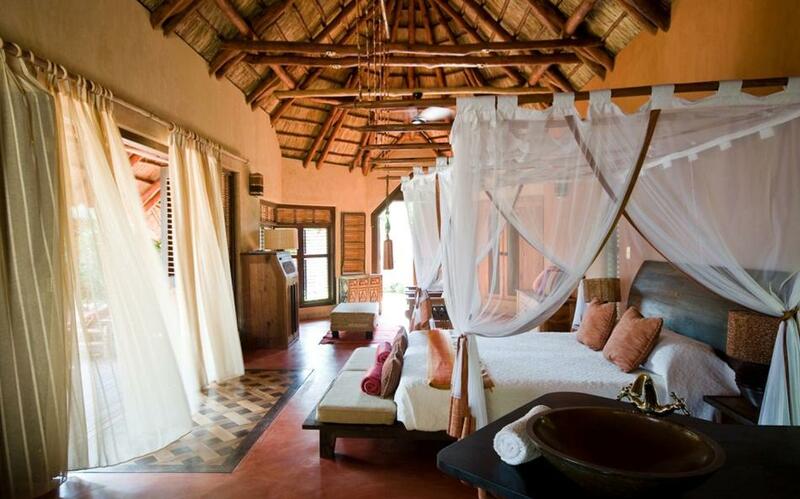 Spend time at the luxurious Coral Lodge 15.41 in North Mozambique. Relax at beautiful white beaches, go on dhow cruises, visit the Island of Mozambique, and engage in many other activities. Spend the next few days at the luxurious Coral Lodge 15.41, situated in the north of Mozambique, in the privately owned nature reserve of Veranda which is only a short distance from the Ilha de Mozambique (Island of Mozambique) - a UNSESCO World Heritage Site. Coral Lodge 15.41 is a modern, African-style beach resort, which offers modern luxury and comfort imbued with Mozambican culture. The resort’s design mimics its natural setting by incorporating wood and bright textures. You will be staying in one of the lodge’s ten luxury villas that offer beautiful views of the Indian Ocean, the Island of Mozambique, or a mangrove forest. Each villa comprises a living area, a bedroom, a bathroom, an outdoor shower, and a big terrace. The bedroom features an award-winning Evening Breeze Bed that offers an unmatched sleeping experience. Thanks to its one-of-a-kind setting, Coral Lodge 15.41 offers you a great number of activities from relaxation at the beach and canoeing to deep-sea fishing and surfing. 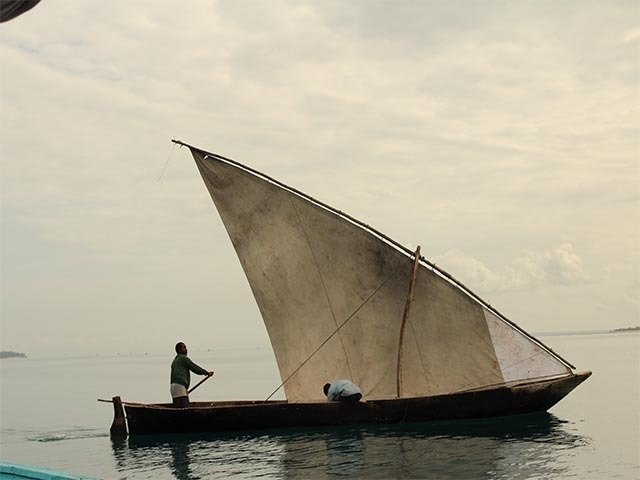 All non-motorized activities such as wind surfing, dhow cruising, canoeing, and snorkelling are included in the cost of your tour. You can also take up optional activities (not included in the price) such as scuba diving, whale watching in season, and deep-sea fishing. 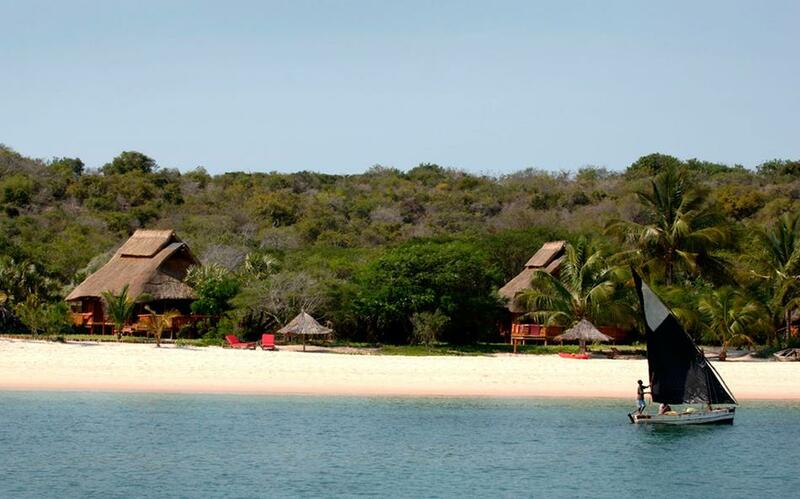 Don't miss out on a visit to Ilha de Moçambique during your stay at Coral Lodge 15.41 (included in tour coast). This former capital of Mozambique, built by the Portuguese, still looks as it did three hundred years ago. From the lodge you can look out to San Sebastiao Fort (1558 AD) at the north point of the island. Explore the city at your own pace or hire a local guide tell you about the island’s controversial history. Explore Veranda, a private nature reserve frequented by many East African birds and inhabited by bush babies, civets, monkeys, and mongooses, by canoe or on foot. If romance is what you are seeking, enjoy lunch or dinner on a secluded island beach or a private cruise (optional). After 10 days of relaxation and rejuvenation, your drive will take you to Beira Airport for your connecting flight home.